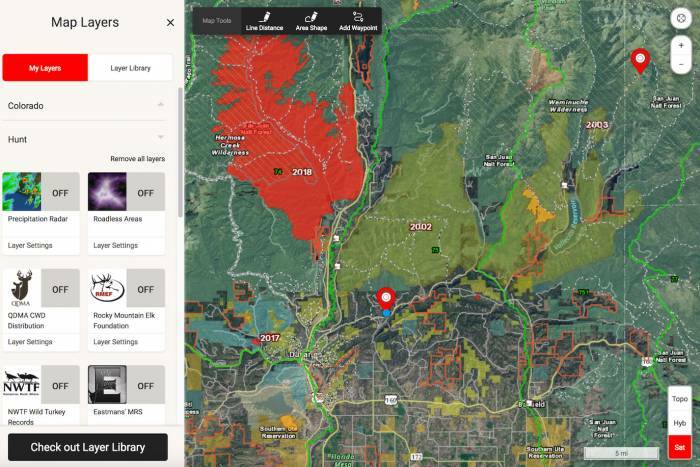 Two mapping apps are helping tourists and impacted residents deal with the effects of increasingly large and frequent wildfires. For those who play outdoors, the American West is mythical. The vast array of public lands that a person can explore is often limited solely by leg strength and lung capacity. However, the picturesque region holds a dirty little secret: wildfire. Regardless of the cause, if you live in the West, you’d better be prepared to be impacted by fire. That could mean evacuating your home at a moment’s notice. But more likely, wildfire’s effects are smoke and the residual impacts on your favorite recreational destination. 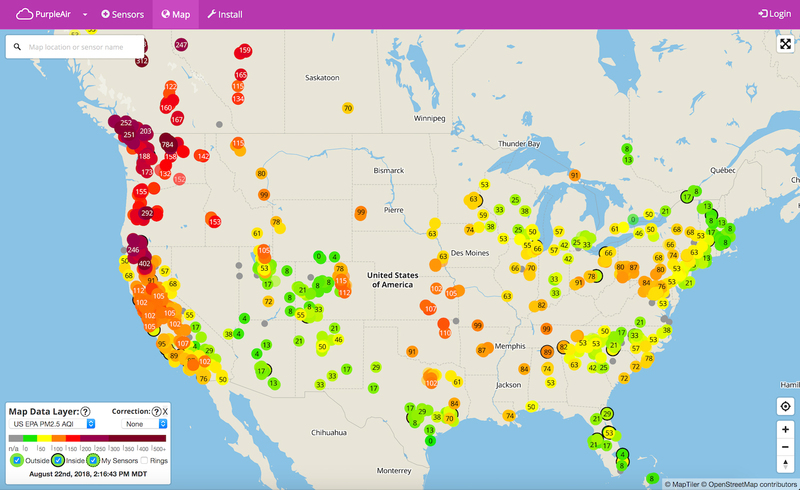 Thankfully, two online tools, PurpleAir and onX, are helping travelers and residents plan for and cope with the effects of wildfire. Top images and 416 Fire images courtesy Fire Command. Earlier this year, fire hit especially hard in southwest Colorado. 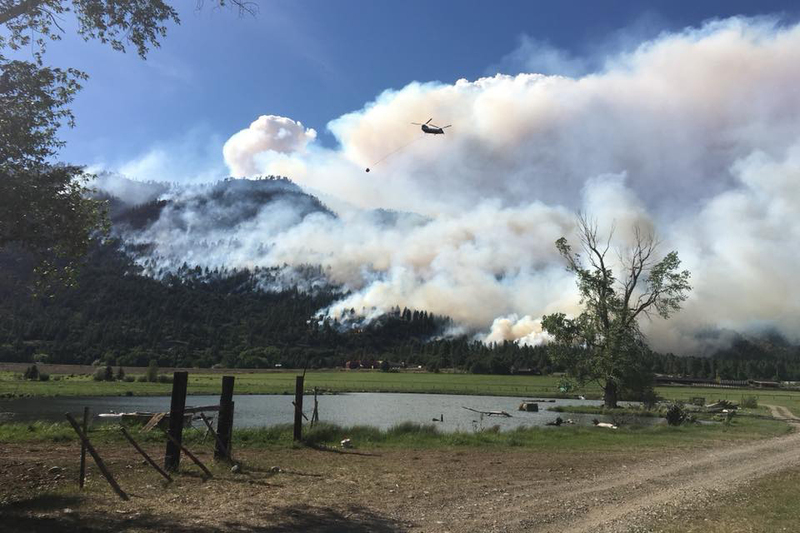 The 416 fire prompted an unprecedented closing of the San Juan National Forest, BLM land, and the city of Durango’s open space. While no structures were lost, smoke impacted the entire area at various levels and left residents wondering where to hike, run, or ride without negatively affecting their health. In 2015, PurpleAir was born. Adrian Dybwab had a gravel pit in his Salt Lake City yard that regularly spewed heavy amounts of dust throughout the neighborhood. Dybwab, being a programmer and tinkerer, created a device to monitor the particulate matter. His device quickly caught on, so Dybwab built a website that captured the data of similar devices from around the globe. Today, PurpleAir has roughly 2,500 units across the world that stream intel from hosts’ Wi-Fi onto the site. Data from each station is recorded in real time and displayed on PurpleAir’s map. In the case of Durango, Colo., PurpleAir’s map indicates nine sensors scattered around the vicinity. Residents (like me) live 1,000 feet higher in elevation than the town. And while smoke from the 416 fire did affect us, it crippled the visibility and air quality in the valley below. A quick look at PurpleAir provided direction on where a bike ride or run was feasible on those days. PurpleAir displays scores using the Federal Environmental Protection Agency Air Quality Index (AQI) scale. The AQI allows comparison for different pollutants with an easy-to-visualize color scheme. The air goes from green (good) to yellow, orange, red, and purple (bad). It also shows maroon, signifying hazardous air. And graphs give further information on different counts, relative weights, and air particles size. Dybwab said private individuals and various community groups can purchase sensors. They range in cost from $189-259. However, anyone can log into and use the PurpleAir site. Mapping app onX was created by Eric Siegfried as a solution for differentiating between public and private lands while hunting in Montana. As an initial solution, he loaded public land data onto his GPS. But that information proved valuable for all who play outdoors. The subsequent invention of the onX Chip in 2007 solidified onX as the first land data company like it anywhere. In 2013, Siegfried’s fledgling company created the Hunt App, which provided users with comprehensive maps of all 50 states. And tools like the current and historic wildfire layers make onX even more useful. As a test, I pulled up my immediate area. It showed that the Missionary Ridge Fire blazed through my area in 2002. And it also showed the recent 416 Fire. In all, the layers help put the size and proximity of each fire into perspective. onX is available as two executions. The first is a subscription for the app you load on your smartphone. On my Samsung Galaxy S5, held together with electrician’s tape, my location and pre-loaded maps came up after a few seconds. Costs for the app range from $30 per state per year to $100 per year for all 50 states. The second execution is a chip you can load into your existing GPS for $120 per state. Based on what we know today, wildfires will likely become more common. 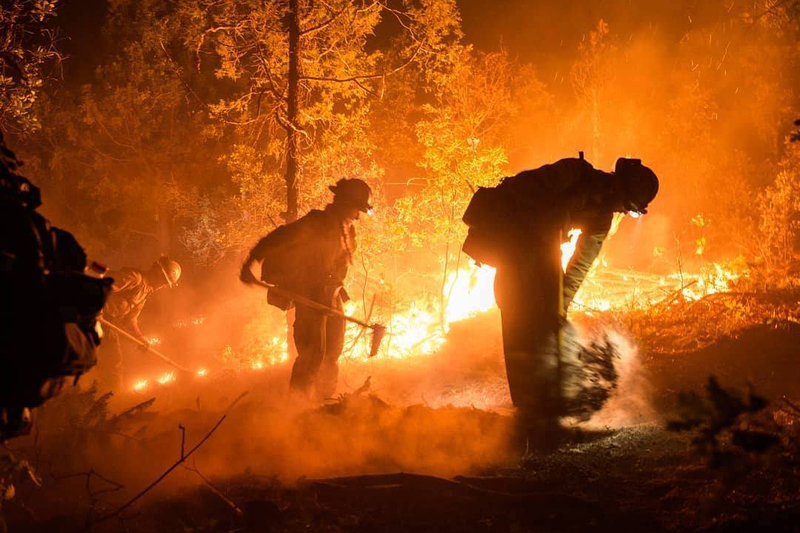 Certainly, if you’re immediately affected by wildfire, the best strategy is to heed local law enforcement and first responders — or just get the hell out of there. In our economy, knowledge is power. Knowledge can also help us realize the most benefit from each day we spend outside. Both PurpleAir and onX are powerful tools that can help you assess the impacts of wildfire while burning and for years to come.